If you are looking for solid Bible teaching and preaching that is practical and Spirit-led, New Covenant Bible Church is the place for you! Pastor James Lacey has real life experience in the ministry and shares God's love daily. Along with Pastor Lacey, his family and congregation work together to spread the Gospel of Jesus Christ. NCBC's 3d youth group are DEDICATED, DRIVEN, and DETERMINED to share the love of Christ. They meet at 7:00 pm every Thursday. Come Join Us! 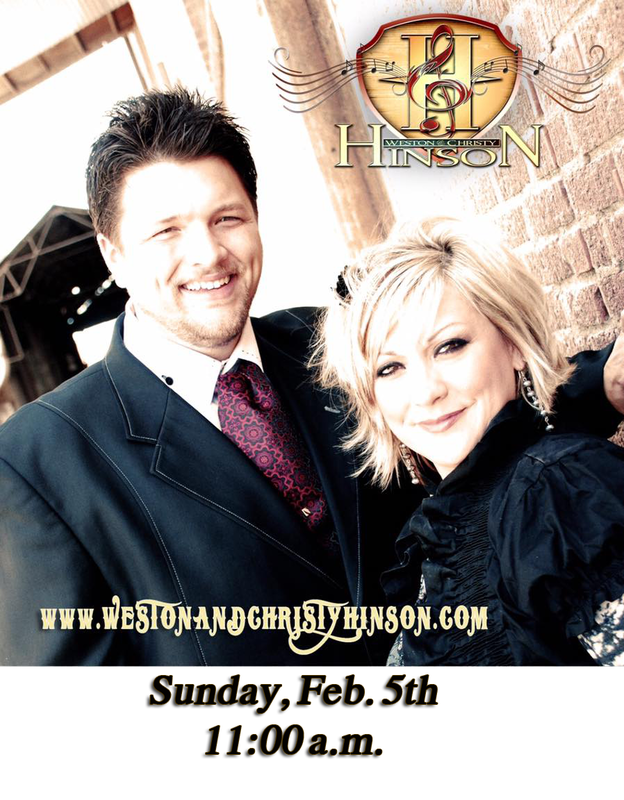 Sunday Feb. 5th @ 11:00 a.m.
Weston and Christy Hinson will be at New Covenant Bible Church, Sunday, Feb. 5th. Weston will be preaching the morning sermon at 11:00 a.m. Come join us and support Weston and Christy as they minister the gospel. 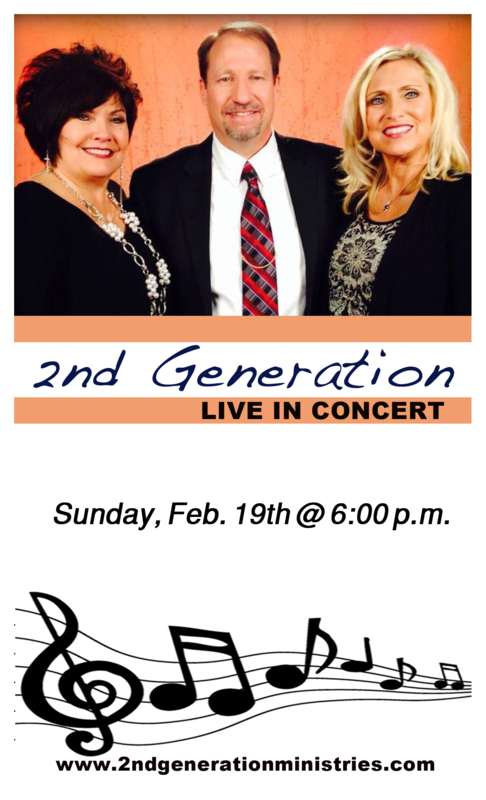 Sunday Feb. 19th @ 6:00 p.m.
Group founders and sisters Elaine Robinson and Brenda Denney have been singing Gospel music for as long as they can remember. As children, they would go to bed listening to a stack of records placed on the record player. They would fall asleep listening to the music of The Happy Goodmans, The Rambos, Lanny Wolfe Trio, Bill Gaither and many, many more. Gospel music runs deep in their roots, and once it's in your bones - there's no turning back. The two sisters sang with their family group - The Singing Greens for most of their life before embarking on a new musical journey. The sisters derived the name 2nd Generation from the fact that they are now the second generation in their family to carry on in full-time music ministry. Randy Barnes joined 2nd G in 2013. Randy is a retired Texas State Trooper, and he has traveled with several Quartets over the last several years. Randy and his wife Linda have been married 34 years and make their home in Cabot AR. From the moment the 2nd G sisters met Randy, and heard him share his heart for ministry they knew it was a God fit. You will love the harmony that this trio brings. The harmonies are so tight that many think Randy is family.